Uniting Parents is pleased to announce a grant funded respite program for Children With Special Health Care Needs (CSHCN) and their families. 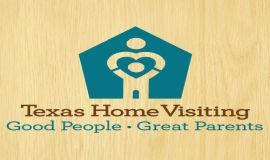 This respite program is funded by a grant from the Texas Department of State Health Services (DSHS) and will provide opportunities for families to participate and receive access to short term respite starting September 1, 2005. Our Mission is to strengthen the family unit by providing respite, accessing resources, and allowing opportunities for the child to be a part of his community not apart from his community. Keep their child at home. Preserve and strengthen the family. Spend time with their other children. Have time to attend conferences, meetings, support groups, etc. Provide care during short-term emergencies. Ask your case manager for an application. You and your case manager will identify your respite services as a goal on your individual service plan. Once your application is received and reviewed an approval letter will be sent out. Parents must discuss any request for additional respite hours through out the year with their case manager and the program director. A required satisfaction survey is included on the reimbursement voucher. This short questionnaire will provide us feedback that is important to report to the CSHCN state program. We will mail a voucher and instructions upon receipt of your application. This voucher will require signatures from both the provider and the parent. The reimbursement rate will be determined based on funds available. A co-pay will also be required of parents/families to help support the program. The voucher must be in our office by the last day of the month, so we can request your reimbursement. We will mail reimbursement to the specified address on the voucher approximately 8-10 weeks after the last day of the month in which respite was provided. Respite is a short break or rest for families who have a child with special health care needs and disabilities. Respite is not a daycare service. How do I access respite hours? Contact your case manager with your request. The amount of respite hours will be based on need, approval, and availability of funds. It is important to plan ahead for any respite use. Who can be the respite provider? Parents may choose friends or an adult relative living outside the home to be a provider. It is the parent’s responsibility to screen their providers. Families receiving Uniting Parents services that are not receiving respite services from another source are eligible for respite. How soon will I receive my reimbursement? The voucher with satisfaction survey will need to be in our office by the 25th of the month. We will mail your reimbursement approximately 8 weeks later. There could be a delay of two months or more on late vouchers. Reimbursement requested by October 5th from DSHS will reimbursed to the parent by November 15th. Vouchers and evaluations received after the 25th of the month will not be processed until the next month making the timeline of receipt of reimbursement approximately 12 weeks instead of 8 weeks. Respite reimbursement will depend on funds available for the current fiscal year. Families will be responsible for a co-pay to help support the respite program. Who pays the provider and how much is the provider paid? Parents will be responsible for paying their provider and/or making payment arrangements with their provider for payment. The Coalition of Health and Uniting Parents is not responsible for paying the provider. The funds are reimbursed to the family and it is the responsibility of the parent/family member to pay the provider. Reimbursement to families will be 8-10 weeks after the end of the month that respite was provided. If you have any questions, please let your case manager know or call toll free 1-888-892-2273.